If you follow news and are in India, then you would have probably seen/read about Sonia Gandhi laying the foundation stone for Rohtang Tunnel yesterday. While all that is good, what does it actually means for travelers like us? 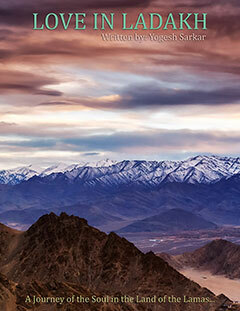 Well here is the low down on one of most ambitious project to link Ladakh with rest of India, all year around! While the press has been going gung-ho about the Rohtang Tunnel, which will cut down travel distance between Manali and Keylong by around 48km and would be open all year around and thus provide road connectivity for Pangi and Lahaul Valleys (Spiti would still only be accessible from Shimla side in winter, since there is no tunnel planned for Kunzum La), it is actually one of the crucial yet small part of making the Manali – Leh highway accessible all year around for troops and of course, travelers like us. Key to this all weather road to Ladakh lies at Darcha, from where a new road is being built to reach Leh, through the Zanskar Valley, in order to bypass Baralacha La, which is much more treacherous than Rohtang Jot and thus can not be kept open, all year around. Not only would the proposed road only have one pass (Shinkhu La), it would also reduce the distance between Manali – Leh by approximately 60-70km, not to mention, would be easier to traverse than the Manali – Leh highway. 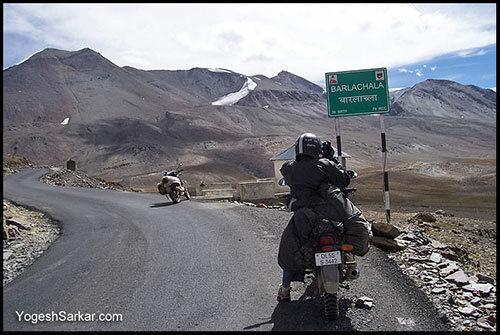 So once all these projects are finished, we would be able to go to Ladakh, by road, even in the dead of winter! Of course this also means that our armed forces and locals in Zanskar and Ladakh would be able to get regular supplies in winter, which is crucial for a region, which is land locked for 5-6 months a year and the only place in our country, where Indian Army not only faces Pakistanis, but also Chinese! Of course this isn’t the only project that Indian Government is working on, it is also working on the internal road network in Ladakh, in order to ensure easier, better and hopefully all year around road connectivity for most border areas, so that when travelers like us reach Ladakh in winter, we would not just be limited to Leh and a handful of places. Update: Tenders have also been floated to build a tunnel at Shinkhu/Shingo La, which was the only high altitude pass on this route and would have likely prevented traffic from traveling on this route in winters. Thanks Piyush, yes lets see when the project gets finished. I am waiting quite eagerly for it. Let us not forget that Mr Vaypayee laid a similar foundation stone about a decade ago….am watching! A lot of influential people who made money building the tarred roads several times/season are going to be very unhappy. Doc you are quite right, at least the Darcha – Nimmu stretch should have been long finished, yet it is not even half finished! As for money mongers, well they are just trying to get the their share of the several hundred crore rupees, which are going to be spent on this project. And btw, the army can make all these ‘would’nt that be nice’ tunnel projects tru the Pir Panjal, but what happens when ALL of the feeder roads to that ‘Great Hole’, are fucked beyound believe very monsoon like the rest of the NH21. Not ONE major road/bridge/tunnel project in India have made it within the time and – not to forget – cost frame. Rhotang tunnel: 20 + years…inshala. Fritz, while I agree with you to a certain degree, I have to say, Ladakh has transformed tremendously in past few years and there is now genuine will on the part of authorities, to make things right and get the road connectivity in place. While today it is in bad condition due to lots of snow, but once that is gone, it would be in a far better situation, than what it used to be years ago and locals used to say, that road can not be built at the top. Whauw nice road at Baralacha now and yes it-s been some years since last time Ladakh and I was surprised to see the so late in june! 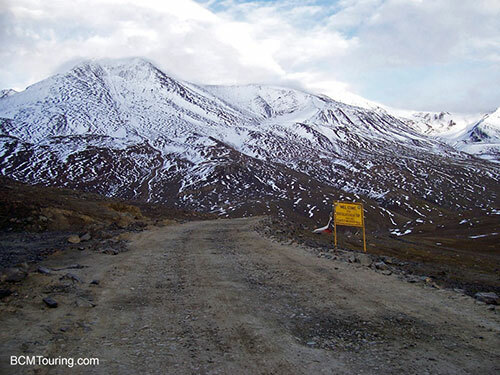 I have done Leh-Manali (Qualis Trekking) in May some years ago, think we were the first car behind the Indian Army’s 50 trucks who totally fucked the road….. but a awesome ride. But I was in Kulu/Lahoul last monsoon and again, as far as I can see, its not so much the roads in Ladakh (and Kashmir) but the chaos in the foothills feeder roads at Shimla/Jammu/Manali . I mean, even now theres a left bank road now down valley, coming tru Kulu late afternoon in the apple season is a nightmare, even on bike, and the road along Beas out of Manali going Leh, is a joke, a insult and has been that for 25 years. And yes, the road up Solang is finished but – maybe purposely – so narrow that not even two army-trucks, let alone (God forbid) a pak tank, would be able to pass each other. But at least a new skilift (!) is now in place, but finished ? No. I wish the best and hope becourse the area has a huge turist potential but surely enough, its all down to better infrastructure. That is absolutely correct and the government does need to do a lot more and at a much-much faster pace, as it is taking far too longer than it should. In fact even the proposed alternate routes to the Keylong – Leh highway is in tatters and will take almost as much time as the Manali tunnel to finish. 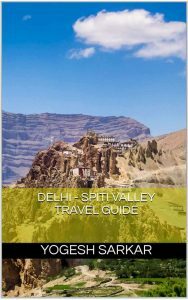 However I also know of the publicly announced and some not yet announced routes, which are going to change the landscape of Ladakh and Himachal and open up areas, which majority of frequent travelers, don’t even know about! I get the feeling that finally bureaucrats and the army top brass has realized the mistake they have made until now and are finally trying to make up for it. As far as tanks go, I don’t know about Pakistani Army or for that matter Chinese, but if Indian Army can take tanks on top of Zoji La in 1947, they wouldn’t have any problem marching them up Rohtang Jot, if the need arises. I don’t think the road through Shingo La can be an all weather one. In the peak of summer (August), the Shingo La I have seen was covered in deep snow (not fresh, old snow) except for a small area where we walked. I guess it will be deep under snow in winters. As far as I understand it it’s the Army who are the excellent roadsbuilders in the High Himalayas, but in the foothills they are – unfortunualy – not. Rhotang La is tricky…..trust me. Sorry got it wrong, and yes whatever route from Darcha, forget about crossing the Greater Himalayas/Zanskar Range with truck/car/4×4 even horses/mules. Ok …mayby dog-sledge inuit style! Arun if this is the case, then I am afraid that they are about to make a big mistake, as there really is a need for a route, which does not have to pass through any major snow locked pass, to ensure that vehicles can travel during winter as well. However, it might be the case that Shinkhu La is different pass from Shingo La? After all no one in their right mind would think of constructing an all-weather route through a 16,700 feet high pass. 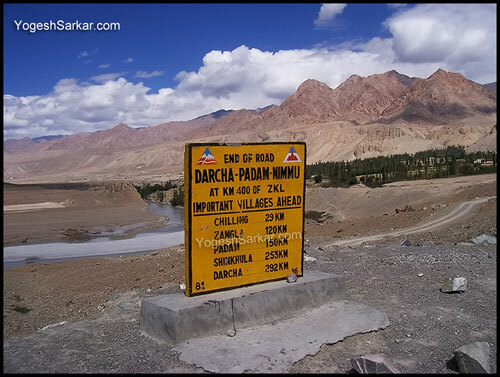 Yogesh, the road from Darch to Padum must go through Shingo La. I guess they are same. Does this mean that the road going to Koksar via Rohtang top (i.e. the road which is being used now)will not be maintained in motorable condition once the Rohtang tunnel is complete? Arun, update regarding that route is that there are now plans to build a tunnel for Shingo La as well. As far as I know, tenders have already been floated for the same. Shivram, that is unlikely to happen, since that would remain a shorter route (only distance wise) to Kaza. Doc, as far as I know, there are no locals at Marhi to speak off! Its just a stopover en route to Rohtang. But then, again there will not be any need to go through Barlacha La and Tanglang La either, will they also be maintained or be closed after the Rohtang and Shingo La tunnels are complete? I feel that the army would maintain them, especially considering the amount of money it is spending in improving the road condition of the existing Manali – Leh highway. Of course they would come down the priority chain, once the 12 month route is fully active.